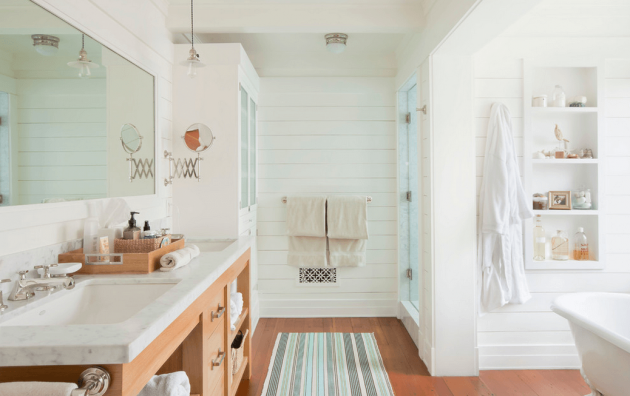 There are numerous color schemes available for modern bathrooms, but only a few can make a good combination with wood and the result is priceless. 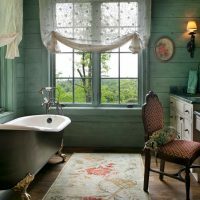 In addition, we must emphasize that this is not a color scheme that is limited to the bathroom only, as a general trend. 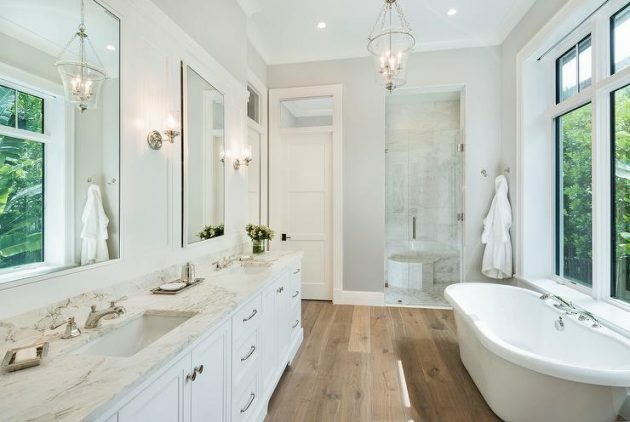 The combination of wood and white color can be accepted as the perfect and optimal color scheme for kitchen, living room and bedroom in every home style. 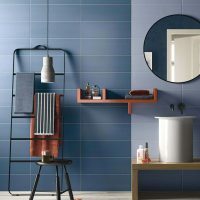 In fact, the best cuisines we can see nowadays, are exactly this color scheme, with plenty of options that can be customized. 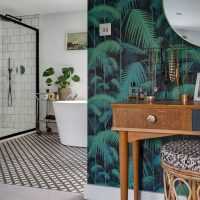 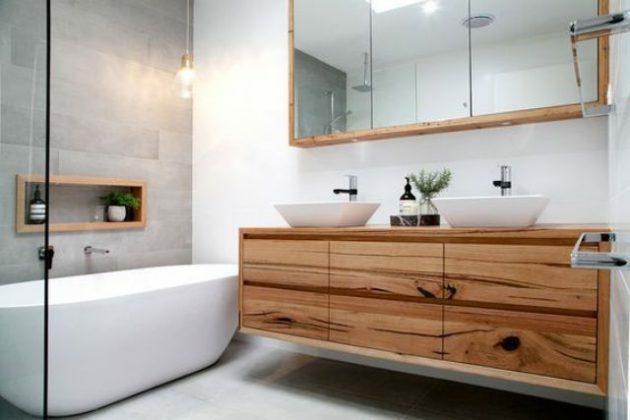 Today we present you the best ideas for bathrooms in these tones and the ways in which they can be entered in your home decor. 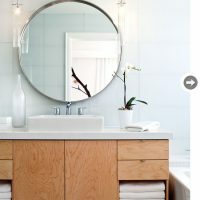 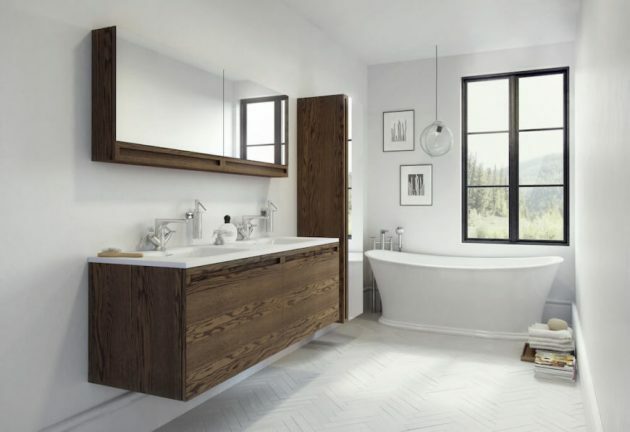 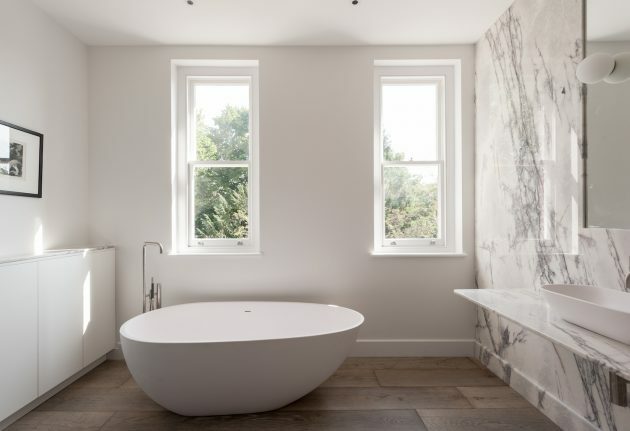 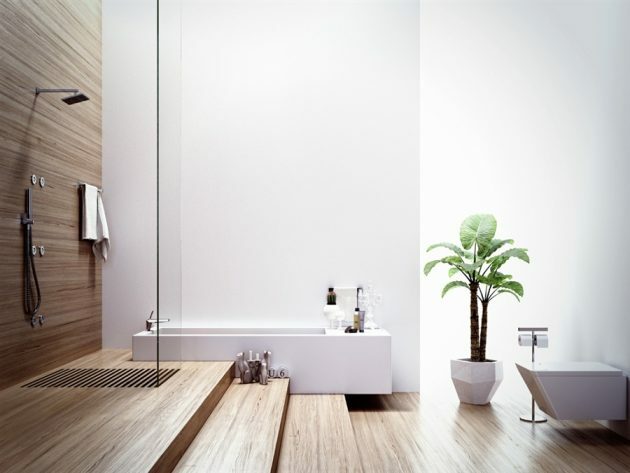 The best combinations of wood and white in the bathroom are those that find the perfect and harmonious balance between these two elements, when it comes to refinement and warmth. 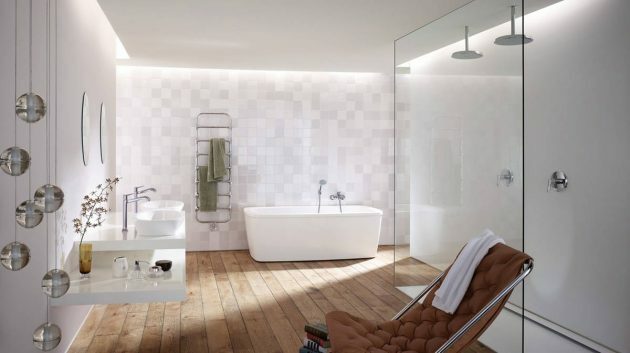 And while the white color introduces modernity in this setting, the wood adds some timeless attraction to the space, without any change in the color combination. 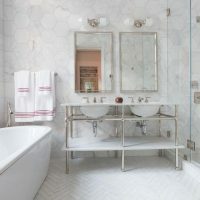 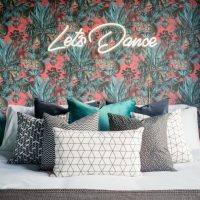 For this reason, the idea of ​​combining these two elements has become incredibly popular over the past several years. 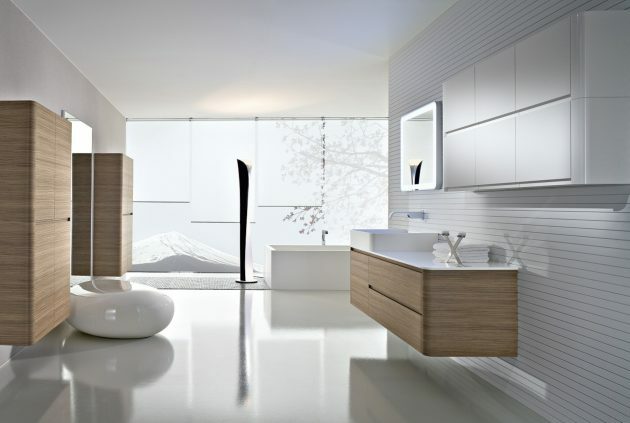 Step into our inspirational photo gallery and enjoy the creative ideas that we offer you.